Just beyond the bay, the waters of the Pacific beckon sportfishing enthusiasts to cast their lines in search of some of the world's greatest catches. Depending on the time of year, you can find yellowfin, bluefin, yellowtail, albacore, mahi mahi, marlin and mako just offshore. San Diego's five main landings include H&M, Fisherman's Landing, Point Loma, where wranglers can find a range of fishing vessels outfitted with the latest tracking and fish finding equipment. Family friendly charters, half-day trips and private charters are all available for anglers looking to explore the bay's teeming waters. San Diego's sportfishing landings are within walking distance of our harborside hotel. 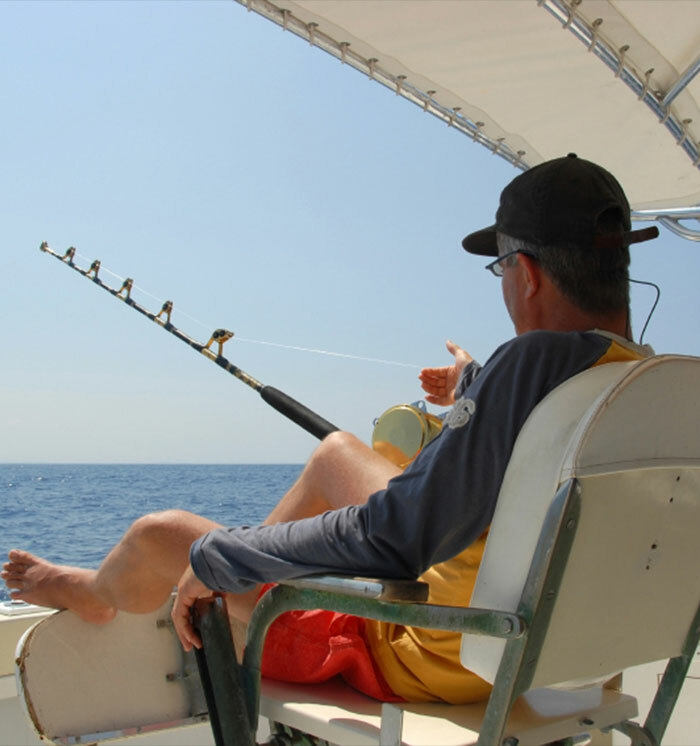 what types of sportfishing trips are available? Anglers can schedule open party trips or private charters, with trips ranging from half-day fishing excursions to 3/4 day fishing, full day bottom fishing, full day trips to the Coronado Islands, multi-day Outer Banks trips, and Mexican long range fishing. A California fishing license is required for all adults. what's the difference between an open party or charter? Open party trips are regularly scheduled outings with individual tickets available for purchase. Advanced reservations are recommended and all departure times vary. Private charters can be arranged for groups of all sizes and can include a customized itinerary, or multi-day trips to the islands. Why Stay at Comfort Inn San Diego at the Harbor?